Nabil Sabki is a partner of Latham & Watkins whose practice focuses on the representation of financial service companies, such as registered investment advisers, private equity and hedge fund managers, private investment funds, registered mutual funds and business development companies. He has significant experience forming and representing various private funds and their sponsors, including both domestic and offshore hedge funds. In addition, Mr. Sabki advises clients in connection with complex financial services related transactions, including mergers and acquisitions, joint ventures and private securities offerings. 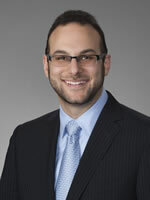 Mr. Sabki represents numerous registered investment advisers in connection with ongoing regulatory and compliance matters arising under both the Investment Advisers Act of 1940 and the Investment Company Act of 1940. He also frequently advises clients with respect to SEC and SRO inspections and inquiries as well as advises companies with respect to investment company status issues under the Investment Company Act of 1940.